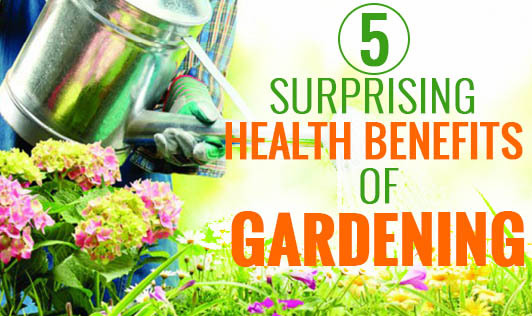 Gardening is classified as a moderately-intense physical activity, according to the Centers for Disease Control and Prevention (CDC), Michigan State University. This activity when adopted as a hobby has been found to be very beneficial to physical and mental health. It provides you immense pleasure due to the feeling of fulfillment and accomplishment you feel. Watering plants daily has been found to be a great antidepressant by various noted psychiatrists. Gardening involves considerable physical activity for both the legs and arms. Keeping limbs in motion can be of great help in keeping chronic diseases at bay. According to a leading health journal, spending time outdoors can help reduce the symptoms of ADHD. Hence, children suffering from ADHD are advised to indulge in gardening activities so that poor concentration problems can be solved to a considerable extent. You can enjoy fresh, garden-picked organic food grown from your very own backyard. Organic produce helps keep your brain healthy as too many of pesticides are known to cause neurological disorders. Gardening is an effective relaxation activity and is advisable for people working on anger management issues and stress. Even if you aren’t really someone who believes in this theory, you can still do your bit towards making your surroundings beautiful by starting a kitchen garden. The fresh, organic produce you grow to freshen up your home and serve you well in the kitchen too!